At the Department of Premier and Cabinet, we enhance the lives of the people of NSW by driving priorities, brokering outcomes and delivering programs and services. NSW has appointed its first Anti-Slavery Commissioner to implement groundbreaking new legislation that will combat modern slavery practices. The NSW Government supports in principle the development of rail trails on disused rail lines where there is strong local community support. The Evaluation Toolkit provides advice and resources for government agencies planning and conducting a program evaluation. It includes seven steps for planning and implementing a program evaluation project. Resources, networks, guidelines and policy information for NSW Government communications professionals working across all platforms, channels and engagement activities. People from the community can use this guide to navigate their way through the issues involved in organising an event. In particular, those people organising public, outdoor events in NSW should find the guide helpful. 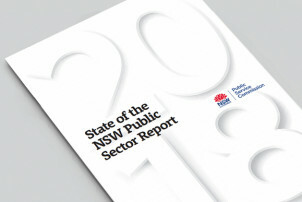 The Department of Premier and Cabinet (DPC) leads the NSW public sector to deliver on the Government's commitments and priorities. The Department of Premier and Cabinet is the lead agency for a number of NSW Government programs and services. The Department of Premier and Cabinet has a vast selection of public sector information. Find out how to contact the Department of Premier and Cabinet.